Join us for our next Twitter chat-Building and Sustaining Collaborative Writing Relationships! The chat will focus on how to network with like-minded potential collaborators, develop a successful shared writing process, and manage snafus along the way. Use the hashtag #ASHEwriting to follow along and participate. The Curry School of Education and Human Development is proud to offer the Dean’s Fellowship Program, a new program funded by UVA’s Strategic Investment Fund that provides increased financial support for top Ph.D. applicants. WHAT DOES THE DEAN’S FELLOWSHIP INCLUDE? In addition, extra travel funding for students presenting at national conferences may be available through the Dean’s Travel Fellowship Program. WHO IS ELIGIBLE TO BE A DEAN’S FELLOW? All full-time, on-Grounds Doctor of Philosophy (Ph.D.) applicants in the Curry School of Education and Human Development are eligible and automatically considered for the fellowship. A select number of fellowships are distributed each year, depending on the applicant pool and other variables. HOW DO I APPLY TO BE A DEAN’S FELLOW? All full-time doctoral applicants are automatically considered for the Dean’s Fellowship upon submission – there is no separate application. The deadline for fall 2019 admission is either December 1st or December 15th, 2018, depending on the program. Be sure to check your program’s individual page for all deadlines and admission requirements. Missed the #PrepforASHE Tweet-A-Thon? That’s ok. Here are some of the top liked and retweeted conference proposal tips. 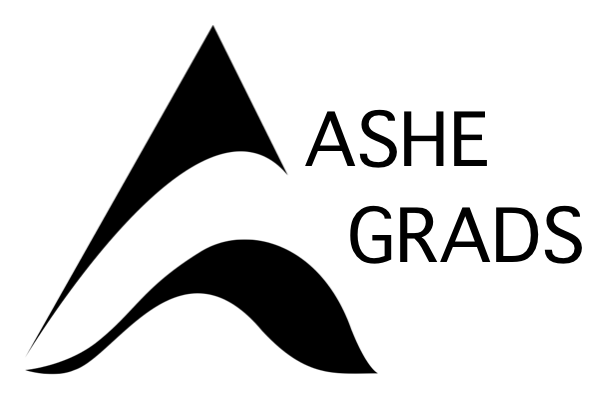 You can also find all our great tips on the @ASHEgrads Twitter page or search for our hashtag, #PrepForASHE. Don’t let a blank page get between you and ASHE! ASHE newsletters include information about ASHE as well as information directly related to graduate students. Click HERE to view past ASHE newsletters. Searching for employment, click HERE to view the ASHE Job Board.